Can you remember how many times you’ve made a mental note to look for ways to reduce your home’s energy spending? Let me take a guess. Every time your energy bill hits the mailbox. Don’t we all know that feeling? The good news is that if you are moving house, you’ve got the perfect opportunity to execute all those energy savings resolutions. This time, don't wait for your first energy bill to arrive, only to find your electricity and gas costs have skyrocketed. 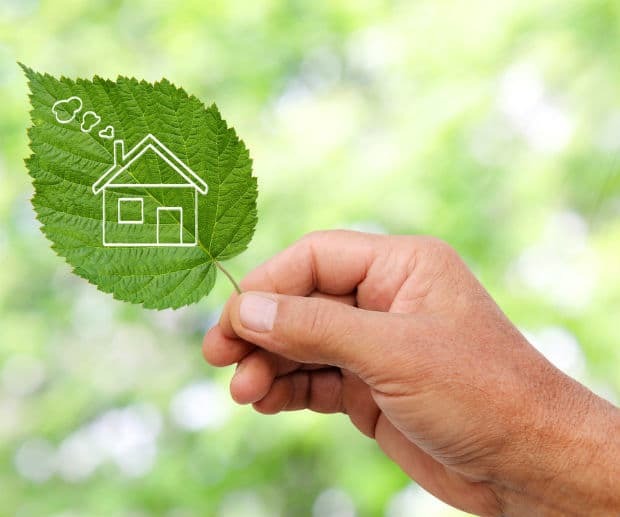 Here are some simple and easy tips to get you started from day one in your new home with a energy efficient mindset. I know what you’re thinking. Easier said than done, right? Well, not really. With quick and convenient online calculators like Mozo’s free energy comparison tool, you can look up the best energy providers in your new suburb in a matter of minutes. All you need to do is type your postcode and plug in a few details about your household size and energy preferences, and you’ll get a list of suppliers to choose from as well as a cost estimate for your gas and electricity bills. You can even look for renewable energy plans if you want to do your bit for the planet. Did you know that many energy providers will offer you discounts on your bills if you pay your bill on time or set up a direct debit? If you can do this, it’s a great easy way to save money. Mozo top tip: Most providers will need 3 - 5 business days to connect you to your new premises so make sure you do this well before your moving date as you don’t want to turn up to your new home without the gas or electricity connected. You’ve heard this advice a million times before but what you probably haven’t heard is that appliances in the average Aussie household equate to around 33% of your total energy bill. It’s no surprise then that you can save hundreds just by buying the right appliances. In fact, old appliances if not properly maintained can potentially double the running cost on your electricity bill. So ask yourself if you really need that 20 year old second fridge in your garage or that old water guzzling top-loader? Read more on how to lower your costs on appliances like the refrigerator and washing machine here. If your dryer is old or you don’t have a dryer don’t bother getting a new one until you’ve checked out how much sun the rooms, balcony or yard in your new home get during the day. Dryers are one of the biggest energy guzzlers at home and can significantly bump up your electricity costs, so if you can take advantage of the free sun, do! In recent years there have been a lot of great technological changes that have made light bulbs more energy efficient. Do a room by room sweep and change out any old light bulbs for energy-efficient fluorescent lights or LEDs. They use way less power compared with traditional bulbs and can help reduce your bills. Add a warm dash of colour to your new home by buying rugs for the winter months. These will add a much needed extra layer of insulation, especially if you have timber or wooden floors. Did you know that fans use about 85% less energy than an air conditioner? So it only makes sense use a fan instead of the aircon as much as possible when the temperatures start soaring. Leaving the air conditioning on the whole night is not exactly the most energy efficient practice. I’m not joking. The sun is a clean and free source of energy and we should try to make the most of it in our homes. If you’re moving into your own home, consider installing solar panels and switching to a solar plan so that the sun pays for some of your energy bill. If you’re not ready for that yet, create spaces for natural light in your new home. Could you add a skylight or make seating areas around windows and balconies so you can bask under the sunshine? Hopefully these tips will help put an end to the battle with your energy bills. If you’re looking for more advice on how to get a better energy deal when you’re moving, read our detailed moving guide here.